Walter and Margaret are first generation Americans. from Budapest on April 19, 1939.
where they were married, in between. Walter, Sr., was 6 feet 3 inches tall and better looking than Errol Flynn. - as pretty as any World War II pinup. and was more exotic-looking than the suburban Westchester housewives who surrounded her. 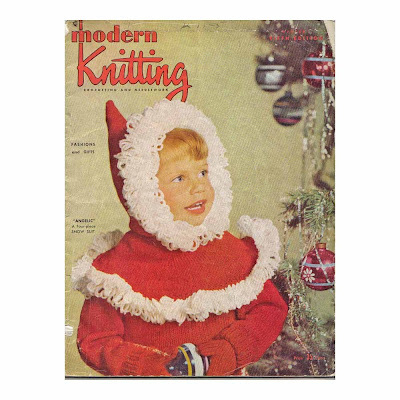 and founded Modern Knitting magazine. She was also a fantastic cook. which has more tomatoes in it than any recipe I have seen elsewhere, her goulash, a delicious dish made with yellow summer squash and sour cream, and, of course, what she called nockerli and what most everyone else calls spaetzle. Gizi made the nockerli by mixing up the batter and flecking off small pieces of it from a little board, using a small paring-size knife that she would dip in water as she went along. Fleck, fleck, fleck, fleck, fleck - at a rapid-fire pace. Walter has the little board in a drawer at the farm. The first time I used it by myself, the nockerli were too big. Almost the size of gnocchi. Totally unacceptable. at the time available from King Arthur Flour. It was more expensive than the others, approximately $40. It turned out to be worth every penny. I don't know why I had success with this one; it certainly looks like two of the other spaetzle makers I went through. But all I can say is this one is high quality, it works, and is a tool worth having. It's available now at Chef's Gadget, and if you're interested in making spaetzle - and who wouldn't be - I highly recommend you get one while you can. Spaetzle is easy, delicious, and versatile because iit goes well with many dishes. Hungarians serve it as a side dish, drained then tossed with butter, salt, and pepper. Germans drain it then cook it in a skillet in butter, sometimes in butter in which onions have already been sauteed. It's excellent both ways, but I only cook it in a pan with butter when it's left over. This is not really a recipe. It's a set of instructions. Once you make it, you will get the hang of it. Put the egg in a bowl and beat it with a little salt. stir with the egg, then add water until you get a batter - looser than bread batter but not so loose that it would pour off a spoon. It has to be thick enough that when you put it into the spaetzle maker, it doesn't fall through the holes on its own. Let it rest for at least 30 minutes. Put water into a pot, making sure the spaetzle maker spans the diameter of the pot, bring the water to a boil, and lightly salt it. put the spaetzle maker over a pan of boiling water, and very quickly (so the steam from the pan of boiling water doesn't clog the holes) start to move the shuttle back and forth over the water until all the batter is in the water. The nockerli - or spaetzle - will quickly float to the surface. Cook for about a minute then pour into a strainer. Shake the strainer to remove some of the water. Put the nockerli back in the now-drained pan off the heat, and add the walnut-size lump of butter. Stir while the butter melts, then add a little salt and black pepper to taste. Obviously, you can also cook it the German way in a skillet with butter and the optional sauteed onions once you have drained it. OH how I love this post. What a wonderful story with great photos! My maternal Tanten all reside in Germany, Austria, Hungary and Italy, (needless to say, I am a first generation American on that side). I grew up with spaetzle and for me it is the ultimate comfort food. I love it plain, with fresh butter or even better, with a bit of cheese. What a great story and tutorial. What a fantastic blog. I stumbled across this blog and LOVED it, those photos, the beautiful Walter and Gizi...what a great story. Her needlework, founding the mag, awesome, thank you for telling their story. That she was a GirlCook makes it even more special! What a fabulous post Wick! Gizi was very accompished- I had no idea-although I did know she was a good cook. Beautiful pictures and a great story along with a useful recipe. What more could a reader want? Oh Vic... I'm so sorry it's taken me so long to get to this post. It's amazing. I love, love, love it. Such a great duo! Dashing, gorgeous, fantastic. This is quite the trip down history's lane. Love spaetzle and the lovely photos you tell the story with. A beautiful introduction to a spaetzle recipe. Gizi is pretty special. What an interesting life. Thank you for sharing this story. I enjoyed reading it. I was a little unclear about your connection to her. Are you related? I'm not related to Gizi; she is the mother of my friends Walter and Margaret. I met her when she was in her eighties and still amazingly spunky with an alert mind of her own. Gizi moved to assisted living, I got to bring them to my apartment. I was not lucky enough to meet the dashing Walter, Sr., who died before I knew Walter and Margaret.